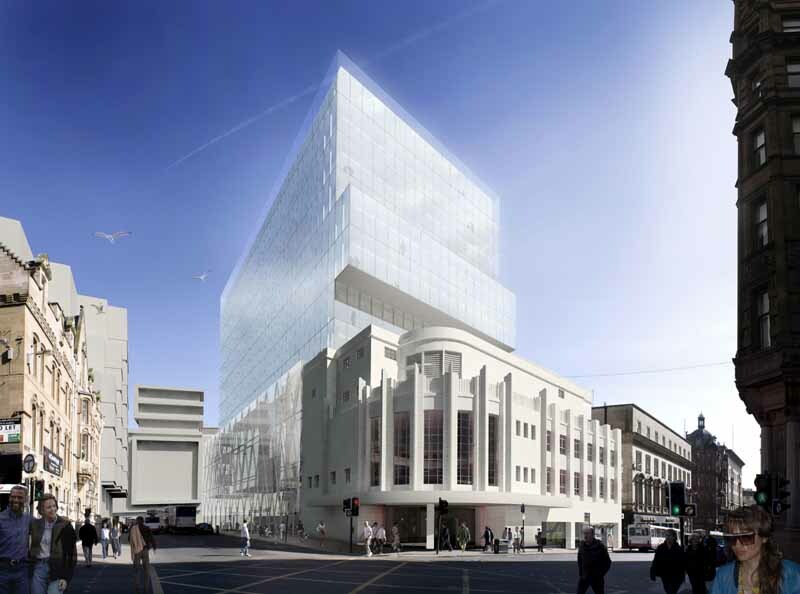 Construction work has started on a redevelopment of Glasgow’s former Odeon cinema, following the demolition of its auditoriums. 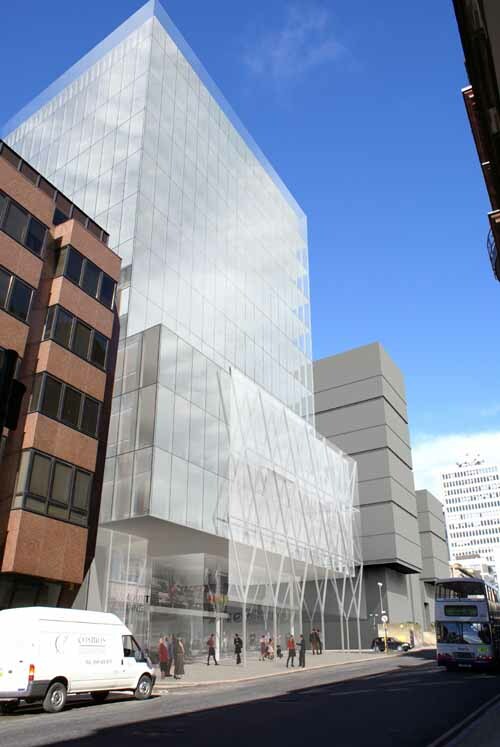 Sir Robert McAlpine are now on site as design and build contractor on behalf of developers Mountgrange and M&G Real Estate, delivering 143,000 sqft of grade A office and retail space by the first quarter of 2015, report Urban Realm today. 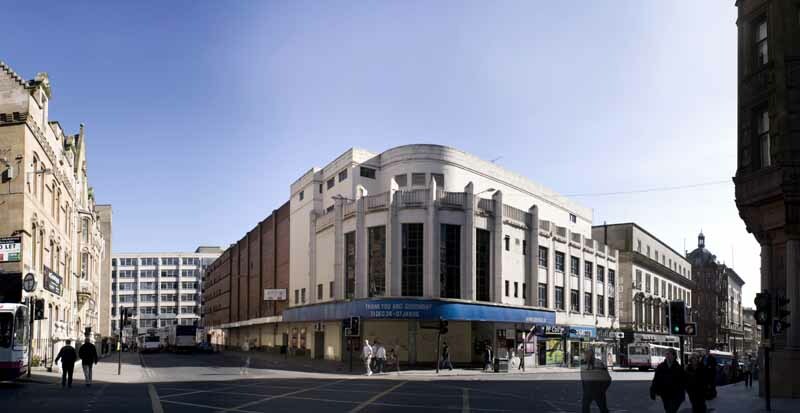 Gordon Murray and Alan Dunlop Architects have lodged a Detailed Planning Application with Glasgow City Council for the former Odeon Cinema on West Regent Street to create a mix Grade A Office, Restaurant and Leisure Complex, retaining the original 1930’s ‘Art Deco’ corner frontage on Renfield Street. 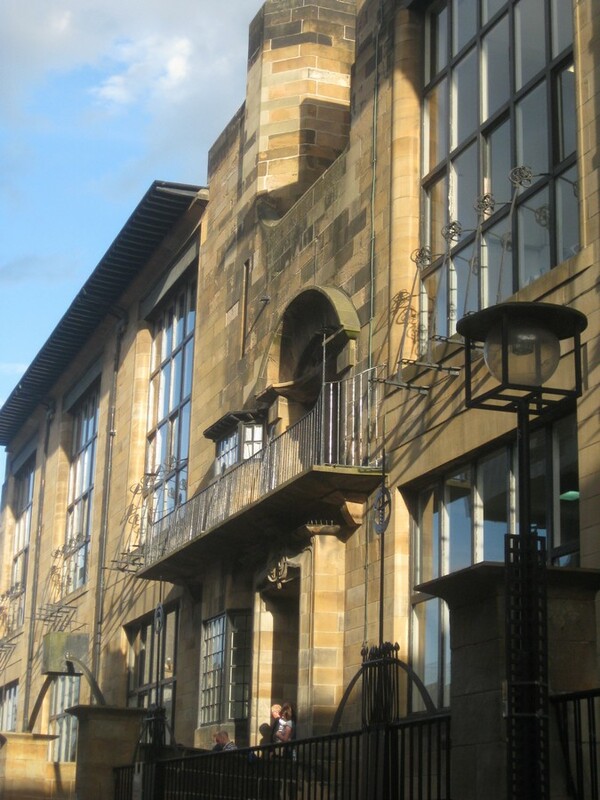 The Paramount Building proposals are for Duddingston House Properties and include the demolition of the ‘brick box’, which was the cinema auditorium, to the rear of the Art Deco building. The Paramount Building application comes after 3 years of marketing to attract occupiers to a nightclub and restaurant complex. A previous application was granted planning consent by the Council in 2004. 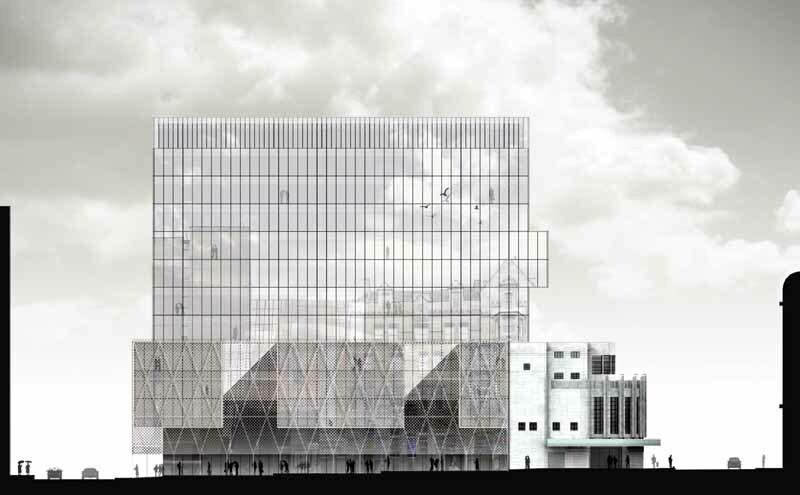 Gordon Murray + Alan Dunlop Architects, designers of the award winning Sentinel office building, have developed a strikingly cool contemporary mixed commercial development.The retained section will be restored to its original 1934 design. This city landmark will be re-named “The Paramount Building” recognising its heritage. The Paramount was the cinema’s original name. 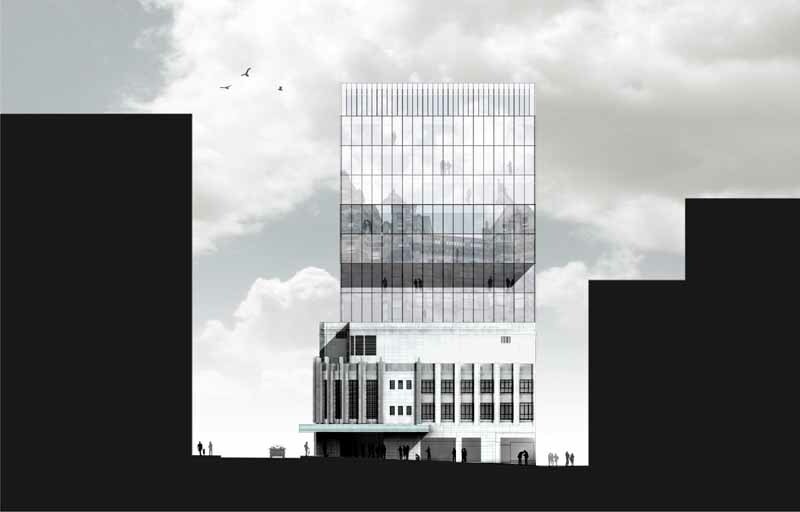 The architects believe that the project will act as a catalyst for the regeneration of this part of the city centre. 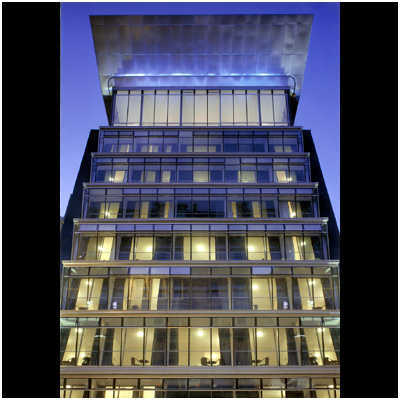 Adoption of the ‘state of the art’ glass technology, to enhance transparency, is designed to embody the memory and scale of the former auditorium at street level with an office tower set back over eleven storeys and accessed from West Nile Street. 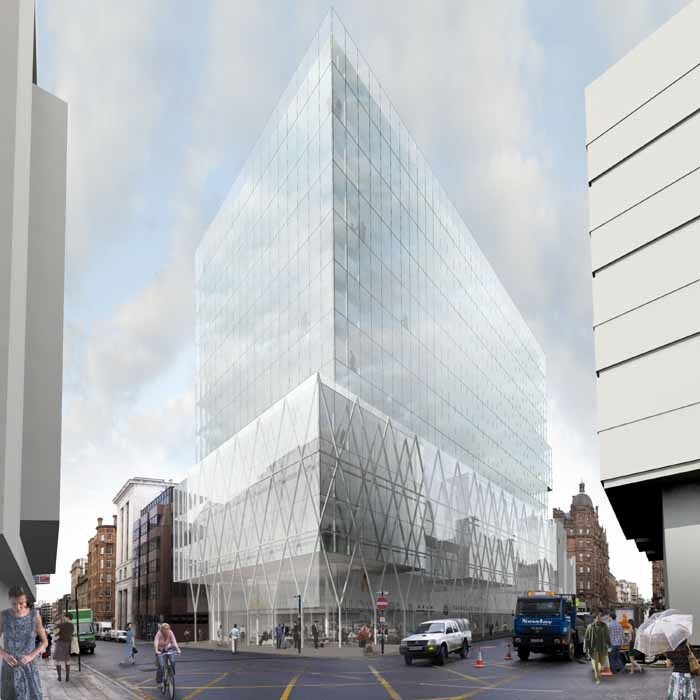 Following detailed talks with Historic Scotland and the City Planning Department, this creates an opportunity to remove the least attractive building in the City Centre. Additionally, it will introduce a much improved and vibrant streetscape along both West Regent Street and West Nile Street. 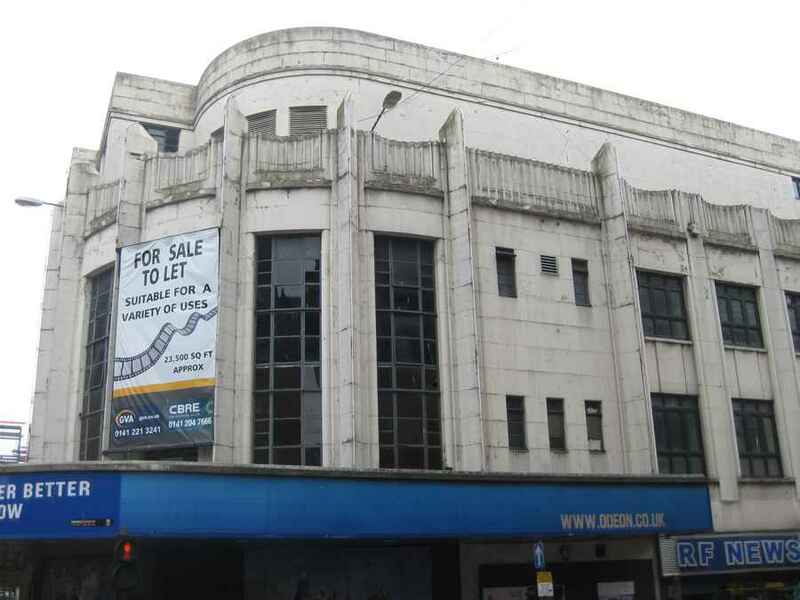 This Art Deco cinema occupies half a city centre block bounded by Renfield Street, West Regent Street, West Nile Street and West Regent Lane. The entrance facade is of cream-painted stone whilst the 6-storey auditorium to rear of main block uses red brick. Built to seat 2,800, Glasgow’s Renfield Odeon (formerly the Paramount Cinema) was one of a new breed of super cinemas constructed in Britain in the 1930s. The American company Paramount employed prominent London architects Frank Verity and Samuel Beverley to construct these large luxurious cinemas in the major provincial cities. This is the only cinema by Verity and Beverley to have been built in Scotland. After the Second World War the Glasgow Paramount was acquired by the Odeon empire. In the 1960s the Beatles and the Rolling Stones performed in the building. In 1969 the auditorium was subdivided into three smaller cinemas and this conversion unfortunately obliterated the original Art Deco interior that included the tea-room above the entrance, the lavish foyers, lounges and the auditorium.